As an example, to show how to use IoT notifications, we will use a motion detection sensor. In other words, there is an Arduino MKR1000 connected to a sensor (PIR sensor). When the sensor triggers an event, then MKR1000 makes a call to Firebase server using Firebase API. With API, the smart object sends IoT push notifications to an Android smartphone. We can use the same way, to send notifications to other devices like iOS and so on. As you can see, this project uses Firebase API in a different way mixing different worlds! 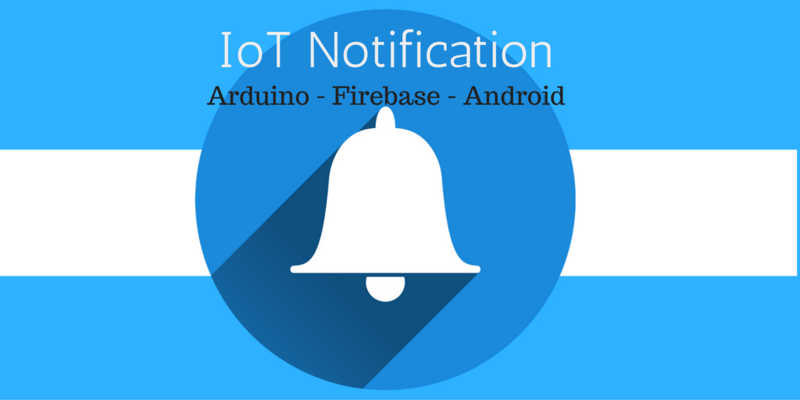 In the last article, we described how to use Firebase API to create a push notification, in this article we want to expand it and integrate with Arduino. Moreover, we have already seen in the last post, how to create an Android app that handles push notification and how to configure it in the Firebase console. If you are new to Firebase, I suggest you read the previous post so that you have a clear idea how things work. As Android app, this project uses the app we developed in the previous post. You can download it if you want to test the project. The first step is connecting Arduino MKR1000 to a PIR sensor. The picture below shows how to wire the sensor to MKR1000. As you can notice, the sketch is very simple. We have to read the signal on the input pin and check if it is 1. If it is 1, then we have detected motion and we can send the notification. All done! Now everything is ready and we can focus our attention on the most interesting part: sending IoT push notification to a smartphone. There are other ways to send notifications to a smartphone. You can learn how to use PushingBox and PushBullet to send notifcation messages. To send a push notification we use the Firebase API. We assume you have already created a project in the Firebase console, if not go back to the previous article and read how to configure a Firebase project. So it is very simple to send IoT push notifications and we have integrated two different ecosystems. What will you build using push notifications? Comment below and let me know your experience. At the end of this post, hopefully, you gained a new knowledge about sending IoT push notifications. At the end of this post, hopefully, you gained a new knowledge about sending IoT push notifications. I am using Arduino/ESP8266 to receive notification from android device. Can you tell me how I can generate device token on Arduino/ESP8266 board? If not, is there any other way I can receive notification on Arduino/ESP8266 from FCM/Android device? Instead of aRest, you could give a try to Firmata. What kind of project are you building? 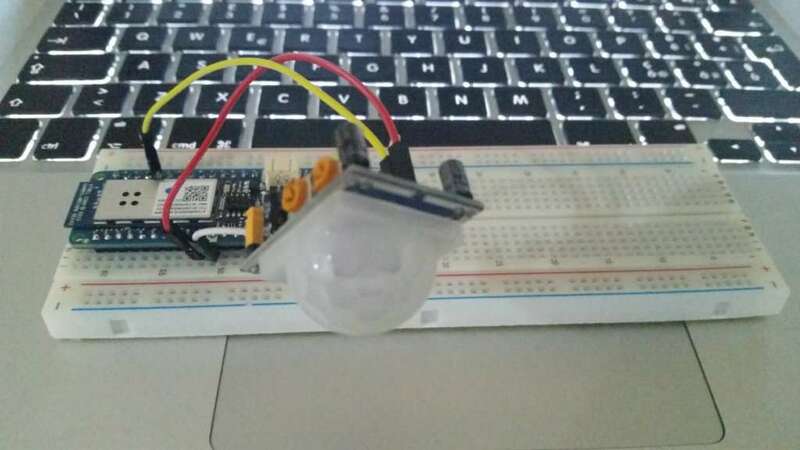 I am using an Ultrasonic Sensor, Arduino UNO and ESP8266 to send notification to an android phone when the sensor detects and object. Could you tell me the steps in which I should take in order to receive the notifications from my android phone whenever the sensor detects an object? I am also using Firebase but I do not know how to link it with Arduino UNO. Friend you congratulations. I’m developing this same, but I can´t integrate the arduino code for send the notification “push” to my android, you can share the source code. Sir, I want to do the same(PIR sensor, push notification) but using raspberry pi 3. can u please share the source code. Very well. It’s so good but I will be so thankful if you tell me or make an article about how to on and off the lights using firebase notification, raspberry pi 3, and Android thing app as well as Android client app. If you mean passing the ssid and password from your device…..i do not know….i guess it is not possible.